Registration is now open for The North Face® Freeski Open of New Zealand Big Mountain. With a line up including some of the world’s finest freeriders and the stunning terrain of The Remarkables ski field as the competition venue, the stage is set for another epic event. Competition is scheduled to take place over two days within a six-day weather window from 1-6 September. With 2014 podium place-getters Charlie Lyons, Hank Bilous, Fraser McDougall and Anna Smoothy all confirmed starters for this year’s event, competition promises to be fierce. 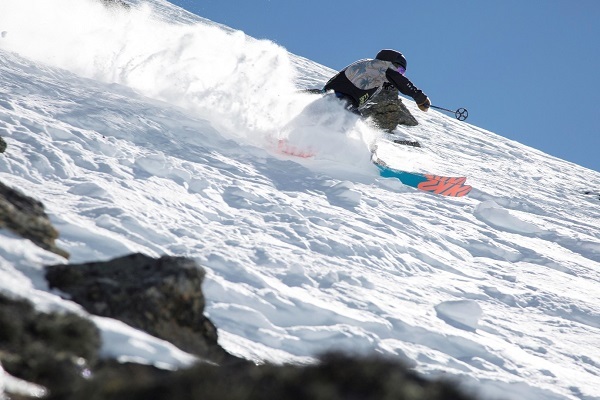 The Freeski Open of NZ is sanctioned by the Freeride World Tour as a three-star event and will once again provide athletes with an early opportunity to notch up qualifying points. Charlie Lyons used the 2014 Freeski Open of NZ to reclaim his place on the Freeride World Tour and Hank Bilous to bag a start in the Freeride Junior World Championships. This entry was posted in Featured, New Zealand, News, Travel and tagged Big Mountain, New Zealand, North Face Freeski. Bookmark the permalink.